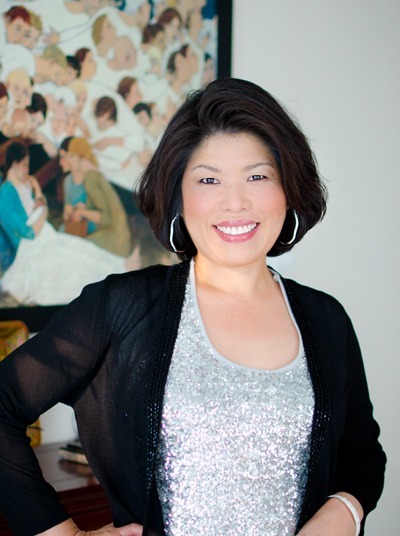 You are here: Home > Archives > Recipes > Easy and Simple > Pan Fried Rice Cakes, do you dare a devil? Pan Fried Rice Cakes, do you dare a devil? I am a rice cake lover. Yes, I know…. It is white food. But I eat small portion and enjoy every bite of them, and go for a walk, sometimes, to remove the guilt out of my belly. I found an article about famous street vendors of various Korean rice cake dishes in Seoul that no one should miss. Out of all the pictures of these scrumptious rice cake dishes, this pan fried rice cakes caught my eyes. Of course, there is no recipe attached to it but I could just imagine what goes in to this dish by reading the description. I am so good, aren’t I? Yes, I would like to call it a devil because it will make you experience what is like to be burning in the hell… It is spicy, very, very spicy! I need to warn you. However, local Koreans do love this dish apparently. Beyond its spiciness you will find the flavor and the texture are hard to resist. Plus you can make this within 15 minutes. 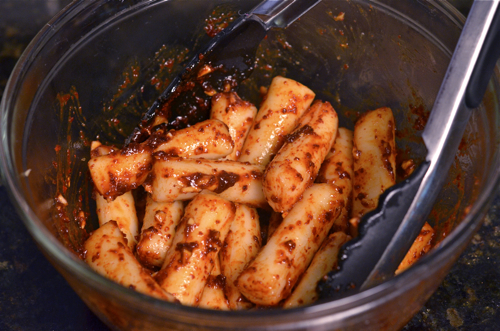 Rice cakes (fresh or frozen), Korean chili flakes, chili paste, garlic, sugar, soy sauce, and cooking oil. 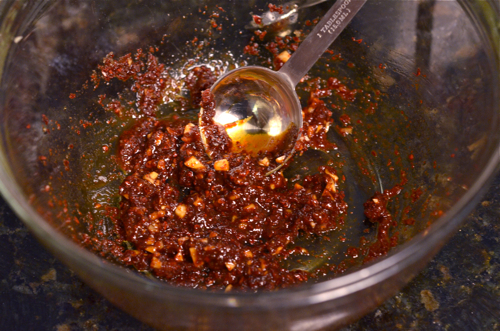 First, make sauce by combining chili flakes, paste, soy sauce, garlic, and sugar. Set aside. Bring pot of water to boil. 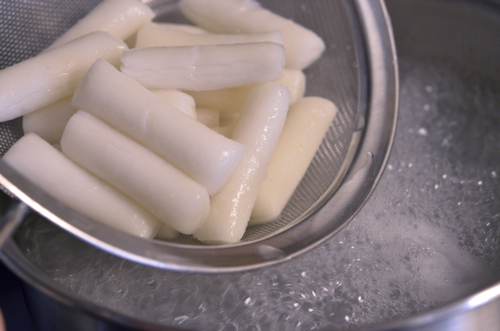 Cook your rice cakes (frozen) for 30-60 seconds. If you are using fresh ones, no need on this step. Take these snow white beauties out of water. Dump them in the sauce. Coat them with this red devil all around. The red color is totally off this time. Wrong white balance setting in my camera. Sorry! Heat oil in the non-stick surfaced skillet over medium heat. 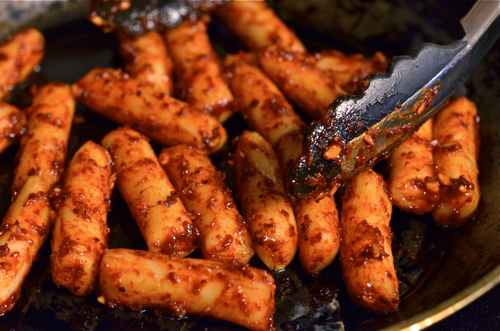 Add the rice cakes and pan fry them for 2-3 minutes, stirring occasionally. You want to eat them immediately otherwise they will get harden if you let them sit too long. I have to admit that I was sweating by the time I finished the plate. It made me think of the concept of “burning” a lot. Maybe that’s why you see so many crosses shining at night in Seoul. Spicy → Burning → Hell → Repentance → Cross??? In a mixing bowl combine chili flakes, chili paste, soy sauce, sugar, and garlic. Set aside. 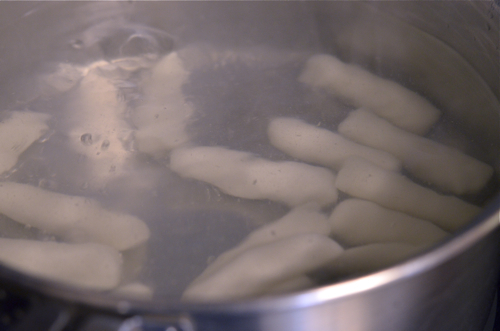 If using frozen rice cakes, bring a pot of water to boil. Cook the rice cakes for 30-60 seconds. Drain the cakes and add them to the sauce in a bowl. Mix them well to coat with sauce all around. Heat oil in a non-stick surface skillet over medium heat. Saute the cakes for 2-3 minutes, stirring occasionally. It looks good, nice and spicy! We have a lot of Korean food in our Asian market (the owners are Korean) so that helps. I'll have to try rice cake this way! Hope you like it. It is a good thing your Asian market carries lots of Korean food. *꼴깍* 맛있겠다... 올 여름, 한국에 가면 만들어봐야겠네요. ^^ 레시피 고맙습니다! 한국가셔서 맛난거 많이 드세요. 한국음식 최고!!!! This looks gorgeous...! Unfortunately I can only get the other type of rice cakes which is for soup, I hope I could find this type of rice cakes one day...! Hi Holly, glad to have found your blog. 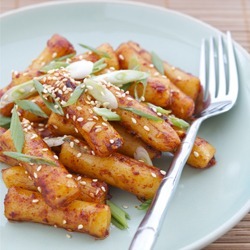 I love what you have here especially this spicy rice cake (and so is the kimchi). I have seen this very often on those Korean drama series. Finally, now I can make my own here. Thanks for sharing. Have a lovely evening. You can still use the flat round ones for this dish. I sometimes use the flat ones when I run out the sticks. Needs a little adjustments in the recipe but still taste the same. Thank you for your comment. 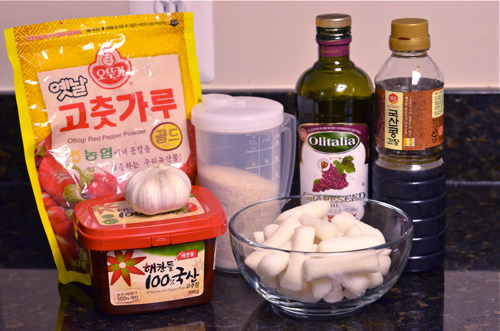 You can look at this recipe for the most common rice cake dishes if you saw it often from TV. You are not the only one who has problem with anchovies or shrimps in Korean dishes. 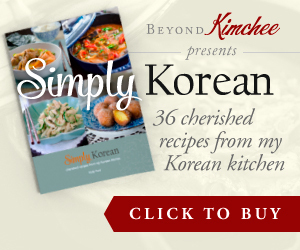 Although many dishes can substitute with non-ocean flavor in the recipes, but unfortunately, Kimchee is exceptional. The fish sauce is one of the key ingredient to ferment the cabbages and there is no substitute for it. I am sorry! May I ask if the allergy is the concern on that matter? 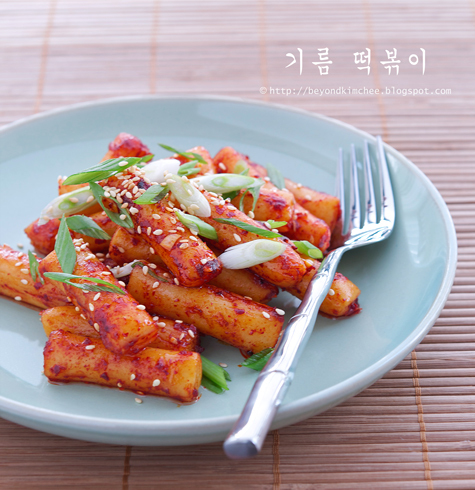 There are many dishes that doesn't require any fish sauce such as this rice cake recipe. Hope you can try it and let me know how it turned out. Hello! Just found the blog recently and I loves me some dduk boki!! As an alternative, I use honey instead of white sugar. I think it adds a bit of depth to it. And I add in the fish cakes to added texture. Mmmmmm! Guess what I'm making tomorrow. I found some fresh rice cakes at our local Korean store. This was sooo good. Really hot! I think next time I will use a non-stick pan because it seems a lot of the sauce stuck to the pan and not on the rice cake. I don't have an allergy I just can't have a lot of iodine in my diet. Good to hear that you like the dish. Yes, you will need a non stick pan to saute them fast. No need to cook too long, just to heat them up for the flavor to mingle all together. you weren't kidding about the chilli factor! am gasping as i eat this but its oh so yummy. It was spicy, wasn't it? But it was worth it for me. I glad that you liked it as well.